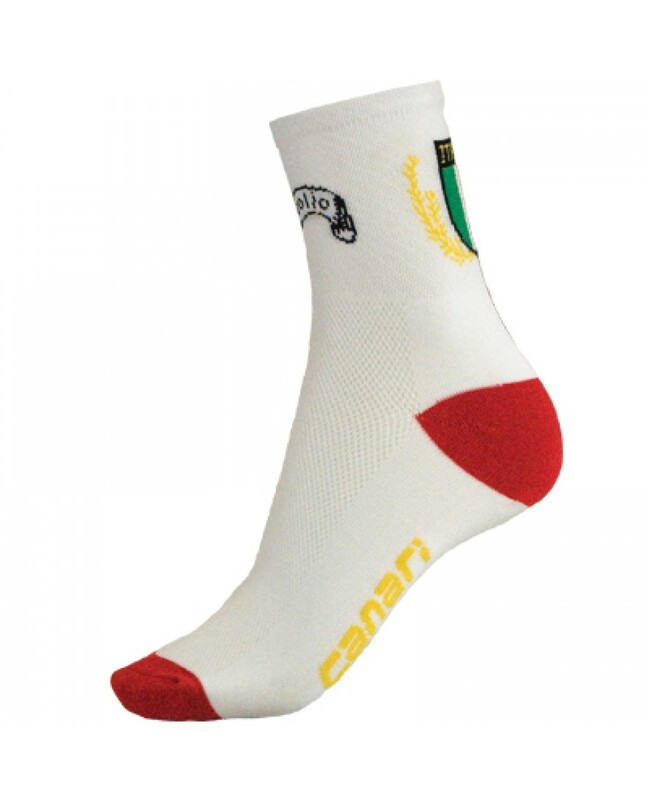 These Canari Cycling socks are designed specifically with quick drying invista Corespun Coolmax fibers on the inside to allow for superior moisture control and nylon fibers on the outside to give the sock long lasting durability. The cuff is made up of Lycra fibers to allow for a comfortable yet supportive ankle band. The sock also features an extra smooth looped toe seam for additional comfort.